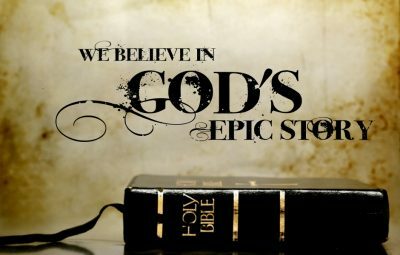 WE BELIEVE that the Bible, as originally written, was God inspired and the product of Spirit-led men, and therefore, has truth without any error. WE BELIEVE the Bible is the foundation of Christian beliefs and the standard for all human conduct. WE BELIEVE that in the unity of the Godhead there are three persons, the Father, the Son and the Holy Spirit. Also that the Holy Spirit is a divine person, equal with God the Father and Jesus and of the same nature. WE BELIEVE that Satan is a true being not just a symbol of evil. WE BELIEVE the Genesis account of creation (seven literal days of 24 hours) and that man came by direct creation of God and not by evolution. Also, that the creation was perfect and until man sinned there was no sin, disease or death. WE BELIEVE that man was created to be in perfect relationship with God, but chose to turn away and as a result was separated from our loving Father.